The volunteers are already hard at work when I arrive at Sunnyside Community Garden. They wear snazzy green shirts and big grins as they water, weed, and wheelbarrow. Every year hundreds of volunteers mobilize as part of United Way of Kingston’s Day of Caring. They disperse in groups and help out in community gardens, health centres, and more. 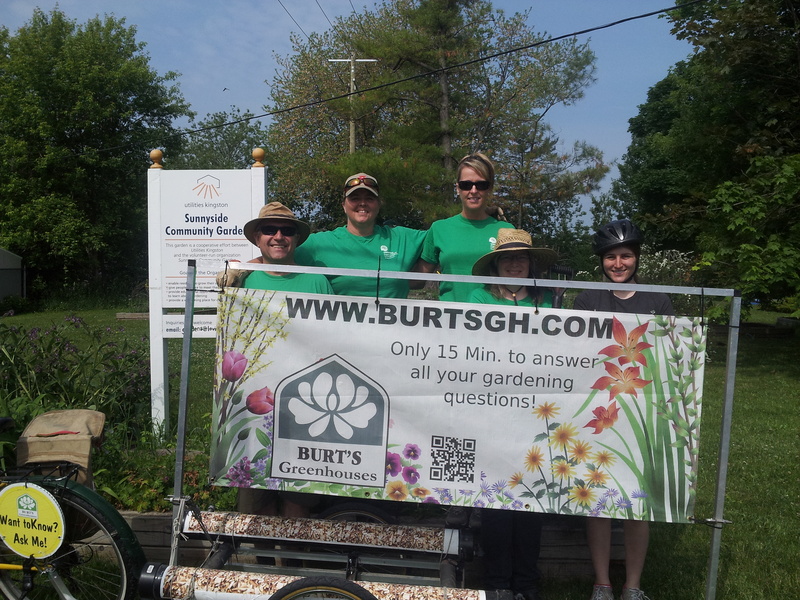 “Susan: Community gardens bring all kinds of people together. Taras: And they act as focal points for the neighbourhood. Jen: As for kids, they can watch what they grow – they can literally see the fruits of their labour. My visit to Sunnyside made me realize that, gardener or not, people like community gardens. For students like me, the benefit is a larger space to garden. Usually we don’t have large backyards, or even smaller outdoor spaces for pots. My visit also reminded me of the importance of giving back. When we take time to make the community (local or global) a little happier, there is a boomerang effect. Recipients feel happier, and we in turn feel more fulfilled. That explains why the United Way volunteers spent the day grinning, despite the heat and the dirt! 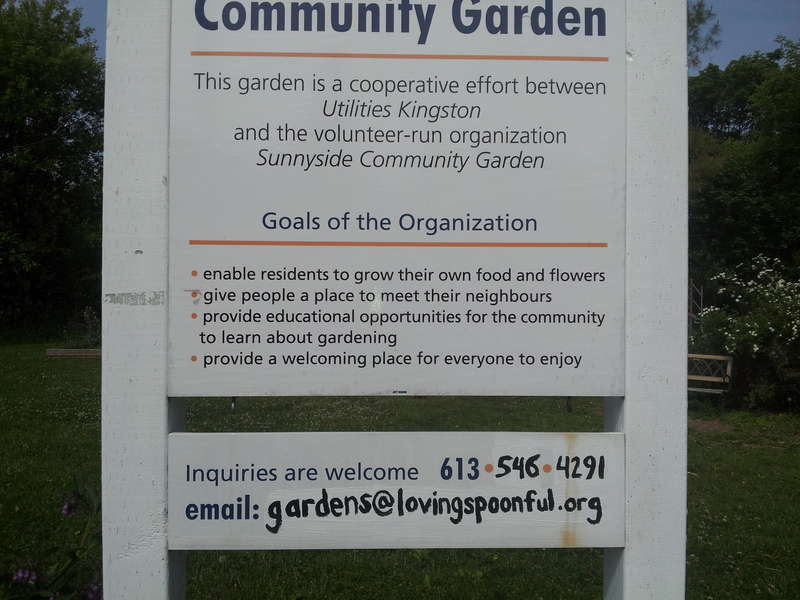 The SunnysideCommunityGarden is a volunteer-run organization working in partnership with Utilities Kingston and OPIRG Kingston. 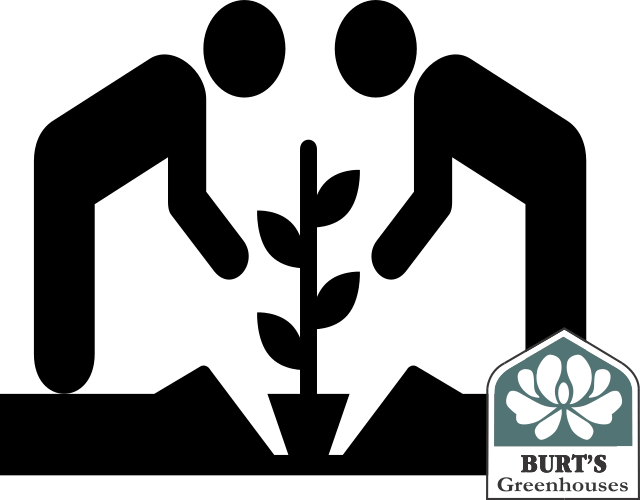 Our goals are to enable residents to grow their own food and flowers, to give people a place to meet neighbours, to provide educational opportunities for the community, and to provide a welcoming place for everybody to enjoy. The garden includes allotments and a donation garden.